Public art’s main virtue is to exist beyond the imposed hierarchies of museum and galleries. Out in the open the works, orphans of preconceptions, confront an unacquainted public, perhaps igniting a sense of wonder. 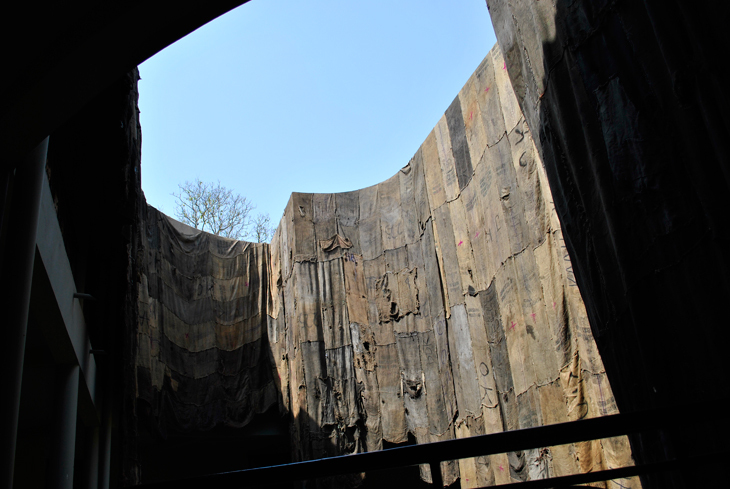 Ibrahim Mahama’s spectacular installations of sewn coal sacks are the result of his investigation of the conditions of supply and demand in African markets. The final product – the art – is equally displayed in market places thus defying the artifacts’ intrinsic value system.